The small town of Langley sits atop a bluff on Whidbey Island, located just 30 miles north of Seattle in Island County, overlooking the glistening waters of Saratoga Passage and the Cascade Mountain Range. Frequently named as a top getaway in the Northwest, Langley waterfront real estate owners can enjoy its many charms all year-round. It has an especially tranquil, laid-back atmosphere with streets lined with cafes and restaurants, antique shops, book stores, art galleries in more. Right from its lovely waterfront, one can explore the over 1,000 acres of wooded trails on foot or by bike, or paddle the waters in a kayak while watching for bald eagles, blue herons, and even whales. Of course, living on the water, means you’ll have access to much of this right from your front door. This town often referred to as the “village by the sea,” has a distinct England feel and hosts some of the most spectacular Whidbey Island waterfront homes, yet it’s just an hour’s drive from Seattle, with the Washington State car ferry crossing from Mukilteo. It not only has all the elements that make it a fantastic vacation destination, but it’s ideal for a permanent residence as well. 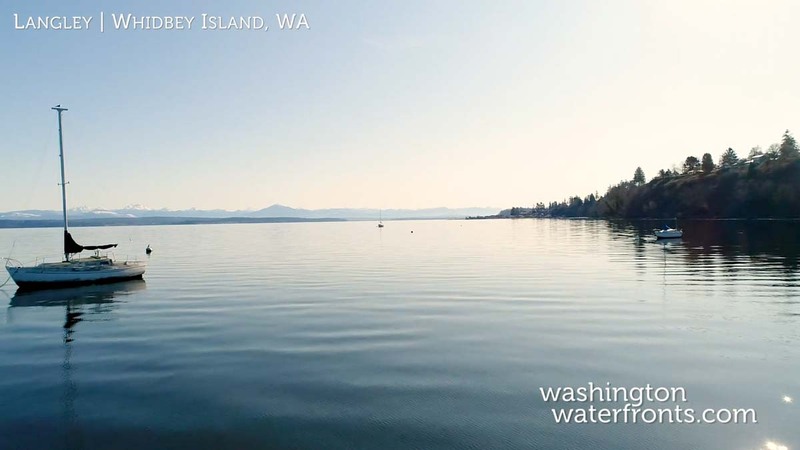 Whether you’re looking for a vacation home or a year-round home, Langley waterfront real estate offers the best of waterside living in one of the most charming towns around the Puget Sound. Look forward to a variety of community events like First Saturday Art Walks when the galleries open their new shows, and you can meet the featured artists, and entertainment for the whole family at The Machine Shop with its fun, retro arcade and pinball machines. All of the this, combined with the many outdoor activities available and major shopping just minutes away makes Langley waterfront real estate ideal. Take advantage of our industry-leading tools to make your property search as easy as possible and be sure to register for a FREE account so that you can receive email alerts whenever new Langley real estate for sale hits the market. If you’re seeking to sell your Langley property, contact our Waterfront Specialists directly for a comprehensive listing analysis and to learn more about the cutting-edge marketing strategies we’ll use to sell your home quickly for top dollar!